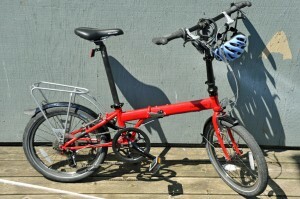 I picked up a Dahon Speed P8 folding bicycle on Craigslist. The bike takes about a minute to fold down or unfold. It has eight gears and despite the diminutive 20″ wheels feels like riding any other cruising or hybrid bike. 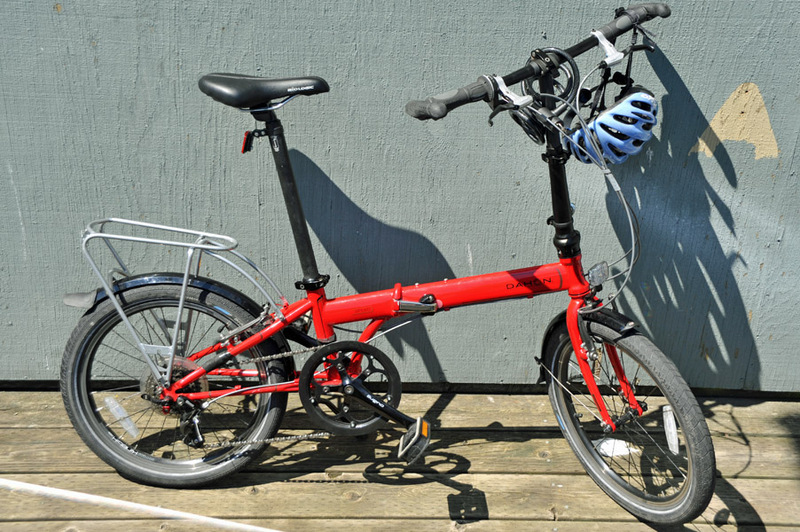 When folded the bike fits inside a suitcase or in the back seat or trunk of a car. The boat’s lazarette can easily carry a couple of folding bikes. This entry was posted in Cycling, Sailing and all things nautical. Bookmark the permalink.